Please Choose Size 5" 5 ¼" 5 ½" 5 ¾" 6" 6 ¼"
The NS Starter Weymouth (Vertical) is recommended as a horse’s first introduction to the Weymouth to promote a relaxed acceptance. The NS starter weymouth is also extremely beneficial for the sensitive mouth. A mild ergonomically designed Weymouth, the NS starter weymouth has a gently sloping mouthpiece that forms a wide, low tongue bridge designed for maximum comfort across the tongue and gentle, even weight distribution over the bars. The mouthpiece is a constant 16mm diameter, circular over the bars and cleverly changing shape forming an oval profile over the tongue, thereby occupying minimum volume between the tongue and upper palate. 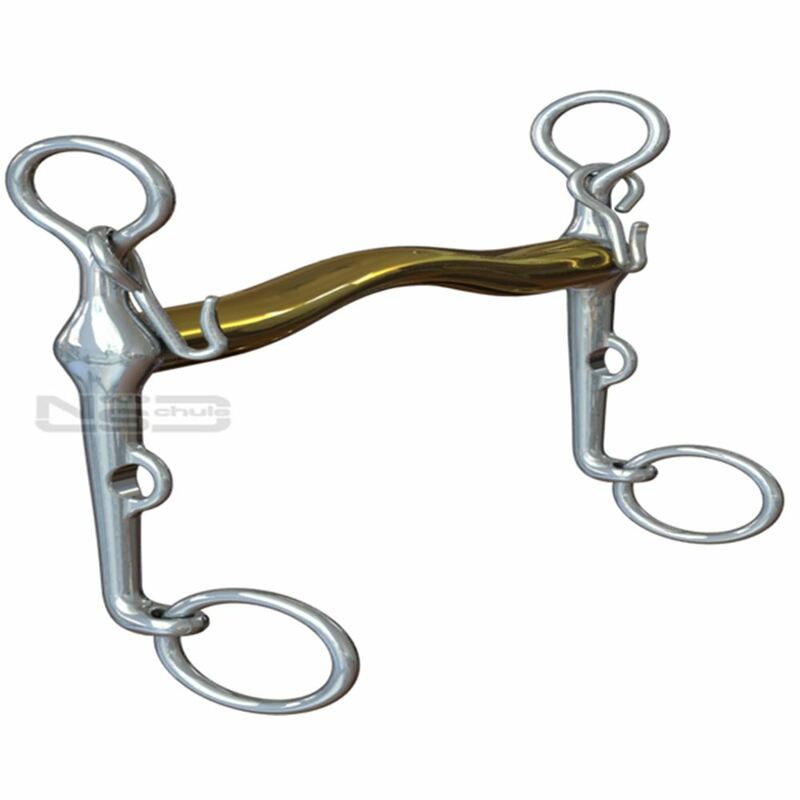 This Neue Schule Weymouth sits well back in the mouth over a thicker, less sensitive part of the tongue. The NS starter weymouth promotes relaxed acceptance, encouraging the horse to lengthen the neck, stretching into a soft, consistent contact.